My wife and I were invited to see Il Divo at the Dolby Theatre in Los Angeles the other night. David Miller, one of the greatest tenors you’ll ever hear in your life, and a member of Il Divo has become a friend. His wife, Sarah Joy Miller was the powerhouse soprano behind the role of Anna Nicole at BAM this past year and it was during that time that we all got aquatinted. This is David below. I have to say that I’ve never seen the guys sing live. I have seen them on TV and such but the live experience…holy crap. Powerful. The really awesome added bonus was that their special guest for this years tour is none other that Lea Salonga. We’ve almost crossed paths many times in the Broadway community but ironically have never met. Those paths missed each other sometimes by hours. She and my wife had performed together in the “Hey Mr. Producer” event for Cameron Mackintosh in 1997 so there was a fond reunion last night for them. 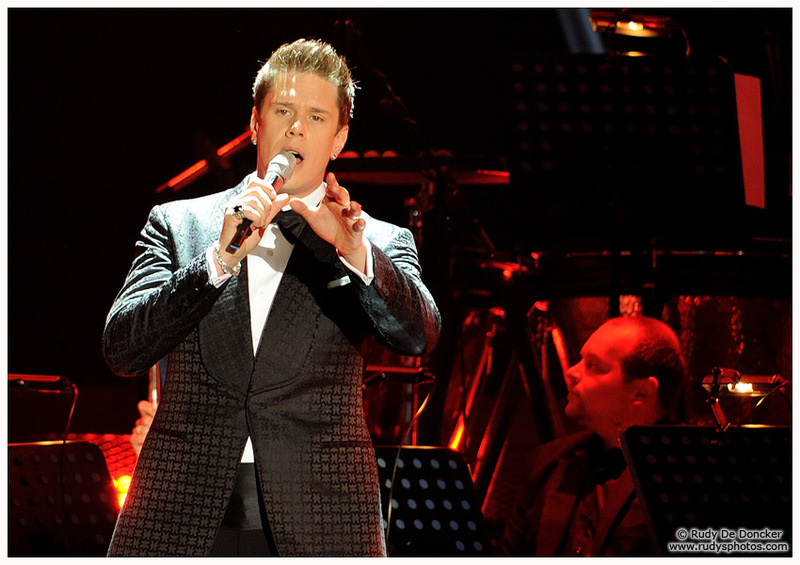 For those of you who haven’t seen Il Divo perform live…this is the tour to see. It’s called “Il Divo A Musical Affair”. They sing all the greatest tunes from Broadway’s history and of course Lea adds some amazing songs to the mix. I’m a fan on music obviously and great music and tremendous voices especially smack me right where it counts. David Miller has one of those voices. It’s an instrument that transports you. He kept hitting these unbelievable notes, so open and full singing into the stratosphere and I turned to Sarah Joy who was sitting next to me and I said, he’s like an Opera Rock Star…and he is. He’s holds the audience in the palm of his hands and they will go with him. There is such joy in his performance and that joy pervades the crowd and lifts them up. It was truly a remarkable performance and it elevated the evening. So kudos to you my friend, sparkly jacket and all. Run to see this group when it comes to your town…that goes for all of your in Europe as well! They’re coming…keep your eyes peeled. James I’m so glad you got to see David in element and reunite with iour costar from Anna Nicole ! I’ve been a huge fan of David and Il Divo for many years 🙂 I grew up listening to musicals and love them dearly so you can only imagine the joy this tour has brought me. My favorite tenor singing some of my favorite songs = ecstasy ! I’ve seen the show 3 times already and have 2 more shows to look forward to 🙂 I know that stratosphere you speak of only too well and love it ! When are you going to bring your tribute to broadway back to the East coast ?